For most of scientific publishing history, editors of scientific journals have been the authors’ peers, fellow practicing scientists who volunteer their expertise (and their time) to carry out one of the most important tasks of science: filtering the literature, deciding which reports are worth readers’ time. 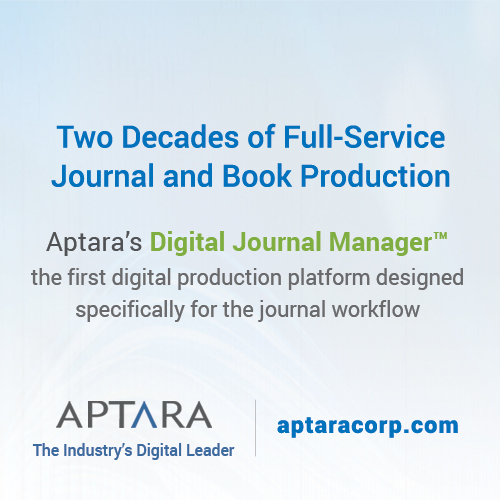 Of course there have been journals, such as Nature, founded in 1869, that employed full-time, professional editors, but for most of the 20th century (and before that) science, technology, and mathematics (STM) journals were largely not-for-profit operations that employed practicing scientists as editors, almost all of them working in academia. As the scientific enterprise expanded after the Second World War, however, more journals with dedicated, full-time editors came onto the scene. And this has only accelerated: the Nature Publishing Group alone has launched 20 such journals since the turn of the century, seven in just the last three years. Nevertheless, journals that enlist academic peer editors have remained a mainstay of STM publishing and are particularly prevalent in society-sponsored journals. And for good reason: practicing scientists make good editors. The editors of the journal I lead have always been practicing scientists, peers of the authors. As Editor-in-Chief of GENETICS for the past eight years, I have witnessed the advantages peer editing offers and seen some of the challenges it presents. I will describe some of those advantages and challenges here. GENETICS, which last year celebrated its centennial, is published monthly, featuring about 300 articles per year. The journal represents the breadth of its field, serving authors and readers including basic scientists studying genetic mechanisms in well-studied experimental organisms such as fruit flies and yeasts; geneticists seeking to understand genetic variation and its consequences in populations of many organisms, including humans; and geneticists applying their expertise to livestock and plant improvement. 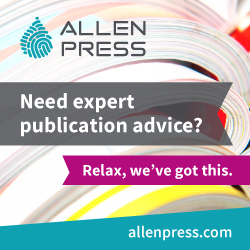 What advantages do peer editors offer? First, and perhaps most important, peer editors are experts in their fields. Who better to recognize a significant development than someone who is actually involved in advancing the field? Who better to evaluate work in an area than an active practitioner? And because they’re leaders in their fields, peer editors are invested in their discipline and seek to maintain high standards for it. Peer editors embrace their role as stewards of their fields. to live by the editors’ golden rule: do unto authors as you would have editors do unto you. But the use of peer editors brings several challenges that must be met for this editorial model to be practicable. First and foremost, because academic editors are (usually uncompensated) volunteers, they have limited time to devote to their editorial duties. Their day jobs are their first priority. 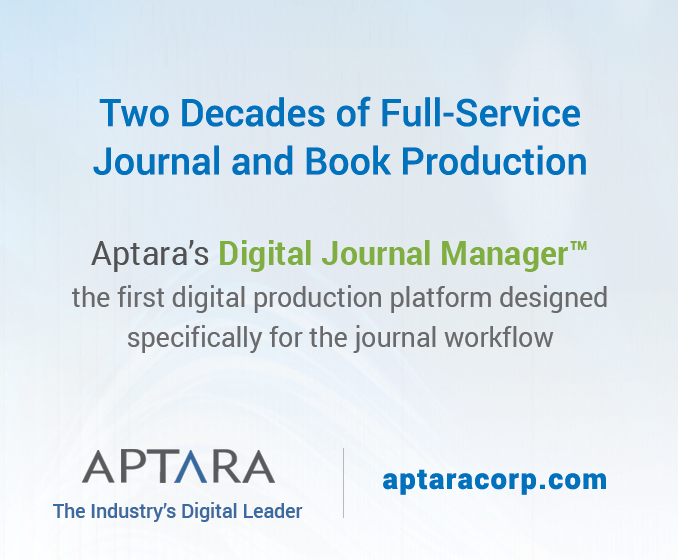 Journal leadership must understand that editorial duties are not editors’ primary responsibility and must help manage their workloads. While a few editors can juggle several manuscripts simultaneously, I have found most editors prefer to handle only one or two at a time. Thus our journal must have a large stable of editors: our editorial board has a little more than 100 members, each reading and evaluating reviews, possibly consulting with other editors, and drafting decision letters. Which brings a major challenge: the more editors a journal has, the harder it is to maintain consistency in decisions and a unified vision of the journal’s scope. This requires frequent communication, and effectively communicating with a large editorial board is challenging. Many journals, including ours, attempt to meet this challenge by structuring the editorial board hierarchically. We have 10 senior editors (SEs), each of whom leads a section of the journal and collaborates with about 10 associate editors (AEs) to manage the review of manuscripts in a particular section. 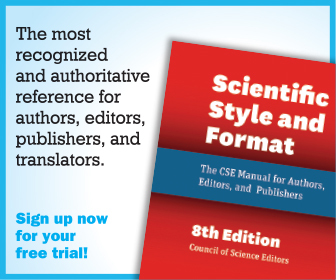 The SEs communicate with at least one of the AEs (often more) on every manuscript that passes through their section, and the AEs frequently consult the SEs when it comes time to make a decision on the manuscript. For some difficult decisions, multiple AEs are involved in the discussion with the SE. I have found these kinds of interactions help move editors toward a unified vision for the journal. I speak with the SEs on a conference call every month or two to discuss issues of the journal’s scope, to work through any problems we have encountered, and to consider new opportunities and potential new initiatives for the journal. This distributed structure of the editorial board fosters communication among editors that makes our decisions on which papers to publish more consistent. Science being the collaborative enterprise it is, academic editors are often authors’ colleagues. 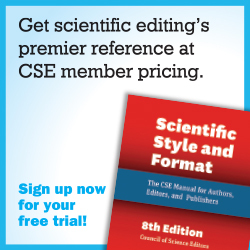 And with the specialization science demands, many editors work in a small world where they know many of the authors. Sometimes they consider the authors their friends. Needless to say, this can make it awkward for an editor to pass judgment on some manuscripts. This is perhaps the major downside of peer editing. Editors will usually declare a conflict of interest when they feel their ability to judge a manuscript is compromised by their relationship to the authors, but sometimes there really is no conflict; the editor just feels uncomfortable passing judgment on his or her colleagues. One way we try to mitigate this problem is to have every decision letter signed by two editors (usually the AE and the SE). This unity signals to the authors the decision was made collaboratively, as a result of deliberation among at least two (often more) editors. While peer editors are well qualified to evaluate work in a field because they are experts actively involved in the development of that field, this brings another potential challenge for peer-edited journals: editors have skin in the game, which runs the risk they might be less receptive to some new ideas that challenge current paradigms of the field. Editors might set too high a bar for a paper that questions accepted theory because they are immersed in the conventional thinking of the field. An editor may resist authors trying to take the field in a new direction. We try to forestall this potential problem by, again, enlisting several editors (at least two) in each decision. 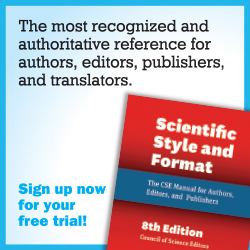 The SE reviews every decision of the AEs and can seek another editor’s opinion if necessary. This process functions as a check-and-balance system to help ensure we are not too conservative in what papers we accept for publication. Finally, there is the challenge of providing editors with enough incentive to take on a time-consuming, often difficult job that is usually uncompensated. Most editors serve because they feel a duty to support their profession. Of course they also benefit from the recognition that comes from being trusted by their colleagues to help set the standards of their field. But I think we as editors, across all fields, need to better highlight what an honor it is to be appointed a peer editor. 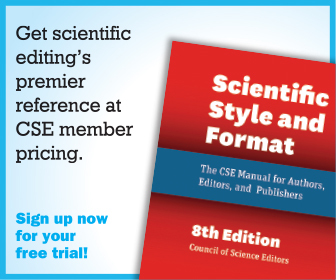 Most peer-edited journals are sponsored by scientific societies, and it is the leadership of the society—recognized leaders in their field who were elected by the society’s membership—who nominate the editors. Being trusted by the practitioners of your field to set the standards of the field is a high privilege, and we need to make sure it is recognized. Peer editing is not the ideal editorial model for every journal, and it brings some challenges. But those challenges can be overcome, and I think the advantages peer editors offer justify the effort necessary meet those challenges. Mark Johnston is the chair of the Department of Biochemistry and Molecular Genetics at the University of Colorado Denver and the Editor-in-Chief of GENETICS.